New Improved Arctic White Nokya Bulbs. 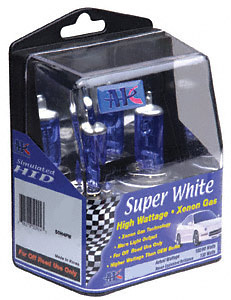 Arctic White technology produces HID type lighting effect. Improves driver visability and vehicle apperance. When purchasing the Nokya Arctic White 9004 80/100 Watt Bulbs (Pair), consider the other items listed below. You can add all desired items from below at one time by clicking the Suggested Items Add Page link.